A grandmother is an important person in your life. They help to show you the right way to live and teach important life lessons. From cookies at Grandma’s house to trips to together, you make a lot of amazing memories today. The Welsh have a saying that perfect love does not come ’till the first grandchild. With that in mind, we have some of the best grandma quotes and sayings for you. 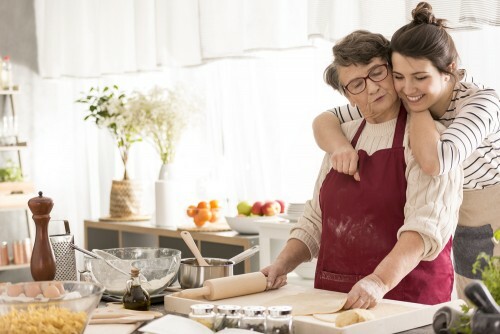 These grandma quotes and sayings encapsulate that special bond to a grandmother and can be used to show your grandmother just how important she is to you. 1. 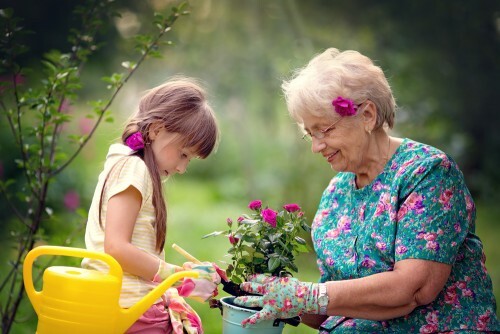 A grandmother is like a special blend of a parent, teacher and a best friend. 2. We had an amazing grandmother, who never could grow old. Her smile was made of pure sunshine, and her heart was of the most beautiful gold. 3. Just at the moment when a grandmother thinks that her work is all finished, someone starts calling her “great”. 4. Having a grandmother is like having an army at your back. A grandchild has the greatest privilege of all because they know that someone is always on their side, even if they are wrong. A good grandma is like having a sword and shield against any problem. 5. My grandmother taught me all of the important things in life except how I could ever live without her. 6. A grandmother is someone who always has time to make you feel special and talk with you. 7. Grandmothers serve up wise counsel, warm kisses and delicious cookies daily. 8. They say that a garden of love is grown in a grandmother’s heart, but I believe that it flows from everything that she touches. 9. A child needs a grandparent so that they can grow up confident and secure in such an unfamiliar world. 10. Grandparents are the people who make the world a kinder, brighter and warmer place to be. 11. I don’t think that grandmothers actually exist because I have a grand-angel. 12. A mother only becomes a real grandmother on the day that she stops paying attention to the mistakes her children makes because she is so enthralled by all of the amazing things that her grand-kids do. 13. No matter how many years have passed, we will always remember our grandmother’s caring heart, special smile and warm embrace. She was there through good times and bad, and she is there for us still. 14. The only truth in life that I am sure of is that my grandmother is the only angel on earth. 15. My grandmother is my anchor in life. Without her, I feel adrift. 16. God saw my grandmother getting tired, so he wrapped her in his arms and whispered, “Come with me.” She may be gone from my sight, but she will never leave my heart. I may not get to see her face every day, but I feel her smile everywhere I turn and her voice echos in my mind. 17. They say that all grandmothers are made of gold, but my grandmother is the only one who truly sparkles. 18. The best toy that a young child can ever have is called a grandparent. 19. No one can do for a small child what a grandmother can do. A grandma is able to sprinkle stardust over the child’s life and make the world an amazing, beautiful place. 20. 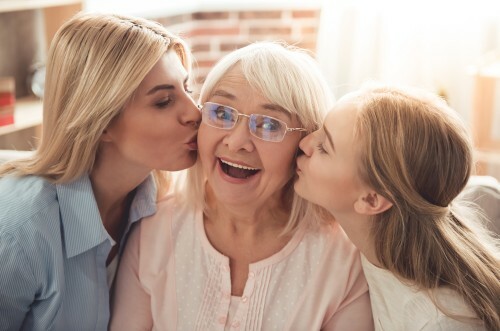 If one has never know the inestimable privilege of having a grandmother, one can never know what good fortune and luck it is to have a grandmother always at your side, no matter what happens. 21. Grandparents are a family’s truest treasure. They are the founders of a loving legacy, the keepers of a grand tradition and the family’s greatest storytellers. A grandparent is the strongest foundation that a family has. Through great happiness or deep sorrow, a grandparent keeps the family together through their love and caring. 22. Everyone needs to have grandparents and grandchildren in their life in order to become a full human being. 23. Young people need something to hold onto. They need a sense of their past, a connection to their culture and a hope for their future. Only a grandparent can give all of these things. 24. Your life was a true blessing, your love boundless and your memory a treasure. You are missed beyond measure, Grandma. 25. What children need most in life are the essentials that grandparents can give in such abundance. They give their unconditional love, patience, life lessons, kindness and good humor. And, most of all, cookies. 26. Unconditional love is truly rare to find unless you are talking about a grandmother. 27. A grandmother is someone who makes you feel like she has been waiting all day just to see your face. The moment she sees you, it seems like her day is finally complete. 29. A grandmother is like a guardian angel who takes you under her wing, prays and guides you through all of life’s problems. 30. Being a grandmother is absolutely wonderful. In one moment, you are just a nagging mother. In the next moment, you are the all-wise sage capable of leaping mountains. 31. A grandmother is all sweet memories and warm embraces. She is the only person who remembers all of her achievements and forgets all of your terrible mistakes. 32. It is only by becoming a grandmother that a mother comes into her fullest grace. 33. If I had known just how great it was to have grandchildren, I would have started with them first. 34. Grandmothers are the only people who always have time to talk to you and make you feel like the most special person in the world. 35. We should all have one person in the world who supports us despite all of the evidence to the contrary. A grandmother is that person. 36. Dearest Grandma, your life was filled with loving deeds, always thoughtful of our most important needs. Today and the next, my whole life through, I will always love and honor you. 37. I never knew just how much love my heart could hold until I became a grandmother! 38. Becoming a grandmother initiated me into a life of play. It’s a world where everything becomes alive, fresh and honest again because I see it through my grandchildren’s eyes. Most of all, it has taught me how to love deeply and unconditionally. 39. My grandchildren are the mirror of my present, the window to the past and a door to a tomorrow that I might not say. They are the keepers of my heart for all eternity. 40. The real miracle in life isn’t when your child is born. It is when your child’s child is born. In that moment, the entire world makes sense and you are retaught how to love. 41. A grandmother is a voice for the past. They are our role models for the present who we strive to live up to. Through a grandmother, you open up a door to the future. 42. A grandmother is like a mom with lots of frosting. She is the one who loves unconditionally and holds your heart forever. On Halloween, she is the person who pretends she doesn’t know who you are. A grandmother sprinkles your life with magic and brightness so that everything seems worthwhile. 43. A grandmother is the only babysitter in the world who watches the children instead of the television. 44. When nothing in your life seems to go right, call your grandmother. If she can’t solve the problem, she can at least make you cookies and comfort you. 45. Always remember: your children were never made to like you. That is what your grandchildren are for. 46. Being a grandparent is when you reach that stage in life where you finally understand the meaning behind “the best is yet to come” . . . because you’ve reached it. 47. Always remember that, when in doubt, your grandma can always sort it out! 48. There might be parents who do not love their children, but there is no grandparent in the world who does not adore their grandchild. 49. There is no place like home . . . except Grandma’s house. 50. When it seems like no one in the world can truly understand, your grandmother is always there to warm your heart and hold your hand.